4th Day of Christmas – Special Offer! Home / Blog / 4th Day of Christmas – Special Offer! 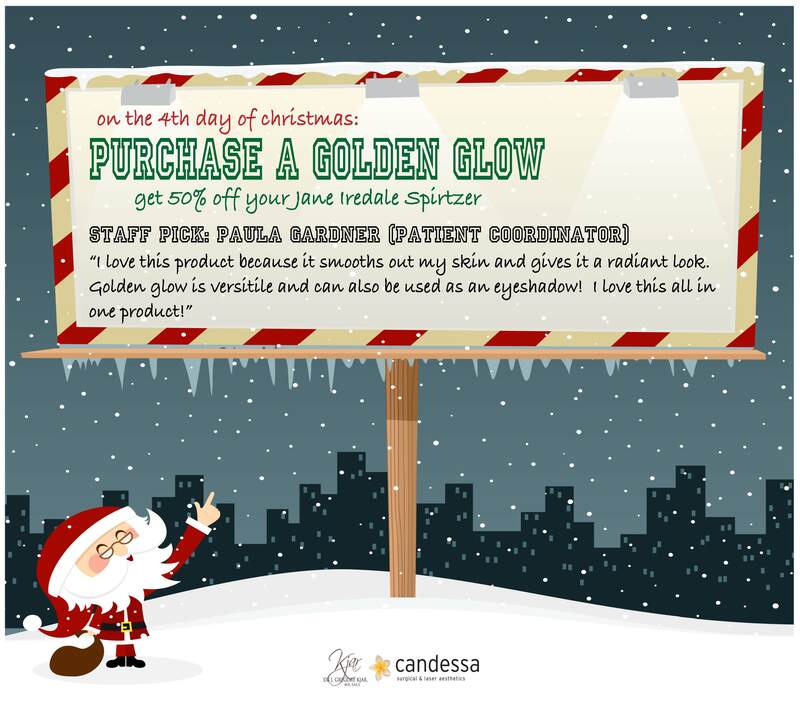 On the 4th Day of Christmas – Our Staff pick is the Jane Iredale Golden Glow. Our patient coordinator, Paula Gardner, loves this product because: “it smooths out my skin and gives me a radiant look. Golden glow is versitile and can also be used as an eyeshadow. This is a great all in one product! GET 50% off the Jane Iredale Spritzer when your purchase Golden Glow. The spritzer pairs perfectly with Golden Glow and helps set your minerals.